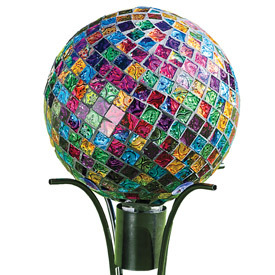 Accent your garden with this colourful work of art! Made of glass tiles, our dazzling ball is sealed to prevent moisture from collecting inside. 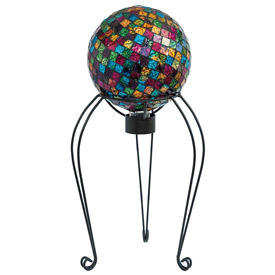 Place on the ground among groundcover or on our sturdy stand.